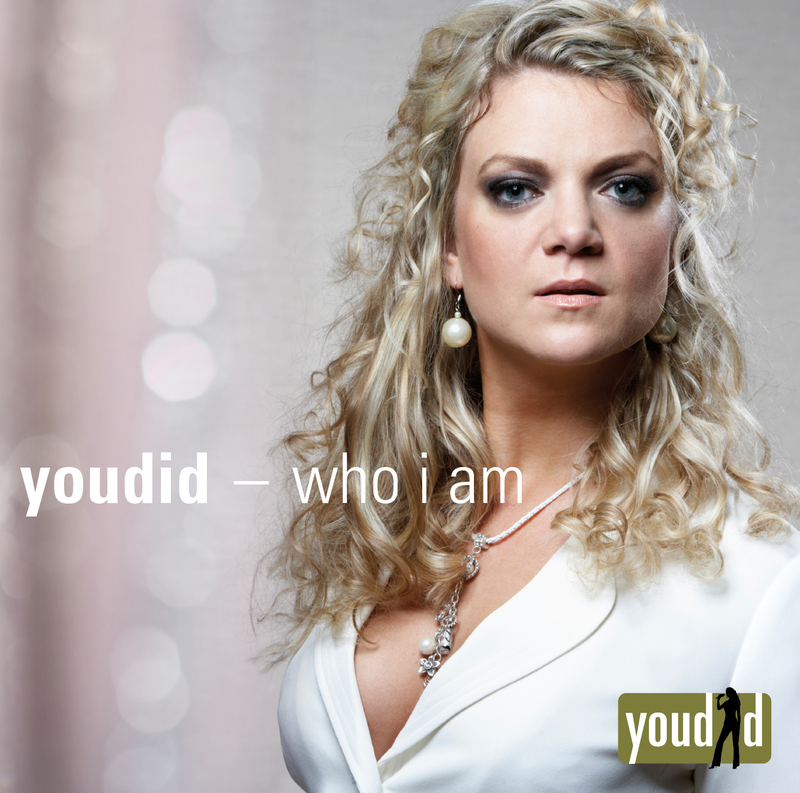 I am Judith – and I perform as youdid. I make pop music (with English lyrics—I rarely listen to German music, I must admit…) which sounds like the adopted child of Sting and Gary Barlow, whose real parents are Paul McCartney and Alicia Keys. And the only thing that really directs my writing is the desire to make the song work with one instrument and the voice. That’s the most important thing! 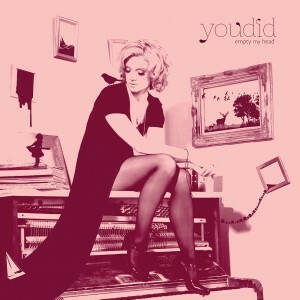 On my newest EP “empty my head”, which will be released on LTYH Records in June 2013, I “just” wanted to record how my trio (Michael Schugardt: Bass, Lukas Pumin: Drums) sounds live. We performed together on a tour through Germany and Holland (29 gigs in 19 days) out of which a new sound crystallized. We simply recorded our three instruments and the vocals ourselves, without adding anything extra: no thick walls of guitar, no loops, no electronic sounds, no fiddly stuff. Just the songs with minimal cast and space for the voice. It was supposed to sound unaltered, honest and direct, just like on the tour. I think it worked. In one song I describe how I free my head of my ideas, how I have to empty it out so there will be space for new ideas. I also sing about the feeling being a queen for a day and about wanting to make rock music except my voice wouldn’t be able to do it. All in all it’s a mix of pop-, jazz-, and even, in the end, a little bit of rock. And perhaps it all fits under the genre “indie”. As a child I already loved to be on stage. And there could never be enough people in the audience! But I grew up sheltered in a rural area in Winsen/Aller in Lower Saxony, and had great parents who always supported me. I had both ballet and piano lessons. The piano teacher was the ballet teacher’s husband, and she said: “Judith, please don’t take the free trial lesson with my husband. All my really talented students quit my lessons when they start with Valentin.” And so it happened! When I was 12 I learned to play drums. (My father was a drummer, and I found that very cool!) I wrote my first song at 15, and put together my first girl-band. I started to accompany myself on the piano and so there were more songs produced with my father in his home studio. With my school’s choir I toured in Italy, then I took acting classes and danced again. One could say that it was no surprise that I wanted to study music sooner or later—really musicals. Just for practice, I applied for the qualifying examination in jazz vocals expecting that I would not be accepted to the program. I had only sung jazz twice before in my life. Meanwhile, nothing was becoming of my career in musicals, which turned out for the best. Because they actually accepted me into the jazz vocals program at the University of Music in Hanover, Germany. I had failed everywhere with musicals. I would have liked to go to a big city, somewhere further away, but instead I plunged head first into my studies just 60 kilometers away from my childhood home. There I was inspired through songwriting courses, workshops and colleagues to continue to write and produce my own material. In fact I had collected so many influences—not only musical—I just had to focus and process them. And that works best for me by making music out of them. I put together youdid in 2004 (then still a five piece band), and I was convinced that THIS was what I REALLY wanted to do! Performances and competitions followed, which in 2008 led to the top award in the German Rock and Pop Awards in the category “Best new rock and pop artist”. 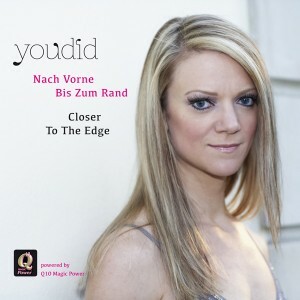 The same year I celebrated my graduation with a big concert and the recording of a live DVD ‚youdid – who i am live‘. At the same time the songs for my debut album “who i am” were recorded. That album was recorded in my newly established home studio (except for the drum tracks which were recorded at the music school) and produced with my keyboarder Jochen Pietsch and the bass player Michi Schugardt. It contains 10 songs, which embody the essence of the work from the previous years: a mixture of pop, rock, and electronic with a hint of the 80’s. All in all it was a demanding time that thoroughly taxed my energy. But my whole heart went into the album, and until then, it represented all that I was—my life with all the ups and downs, all my feelings, my doubts and my love for music, and in detail! In order to publish “who i am”, I hurriedly established LTYH records with my bass player. It was released in 2010. Jazz + Pop = Indie? For a long time I resisted being categorized as an “acoustic pop” singer/songwriter. I was too much in love with the sound of the 80’s, the music of my childhood. But at the end of my studies some members of my band dispersed with book-writing and wedding plans, so I simply decided to hit the keyboards myself. And somehow my taste in music, which spreads across from the above mentioned artists to Stevie Wonder, Bette Midler, Toto, Rage Against the Machine and Avenged Sevenfold, combined with the circumstance of a piano-playing vocalist and the influences of the study of jazz. The outcome is “empty my head”. Out of necessity came a virtue, and by now I love this soft but direct sound: it just feels right. I can’t imagine doing anything with my life other than making music. My biggest dream is to reach as many people with it as possible. … der offizielle Q10 Magic Power Song!